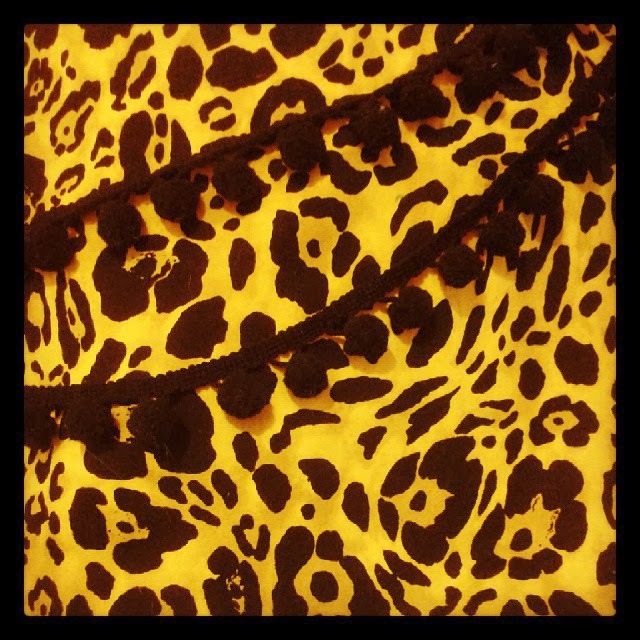 Kalandra Jane - Millinery and Musings! 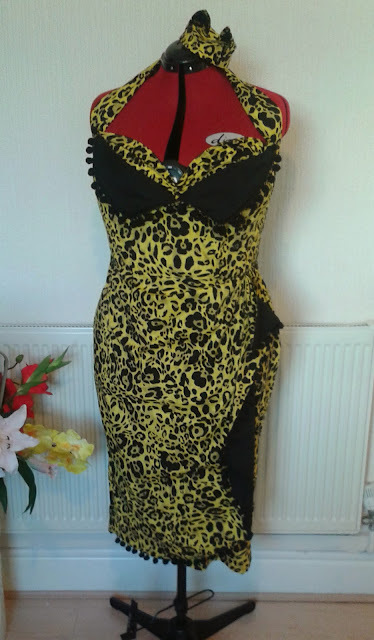 : I met the Pope of Trash, and made a new sleazy dress for the occasion. I met the Pope of Trash, and made a new sleazy dress for the occasion. Remember this post? The one where I pretty much ended up collapsing to my knees and wailing "WHY GOD? WHYYYY?" at the top of my lungs after royally ballsing up a great many times? Well yeah, I tried again. Only this time it worked! I had a stroke of luck, and the first time I visited the Liverpool branch of Abakhan Fabrics after moving here, I evidently had a stroke of another kind and bought another piece of the same cursed fabric which had led to the crushing of my dreams a few months before. I used iDye again, and despite the high synthetic content I used the all-purpose dye in bright yellow, and just ran it through a hot wash in my machine. Here's the finished article! I added pom-pom trim and black facings to the petal bust and skirt drape as planned, and made a little kitty ears hat to match! I felt very Poison Ivy wearing this! You too can look fabulously feline in a kitty ears hat of your very own at http://www.kalandrajane.com/ and if any of you fancy one in the yellow leopard print, I have a little left for custom orders. 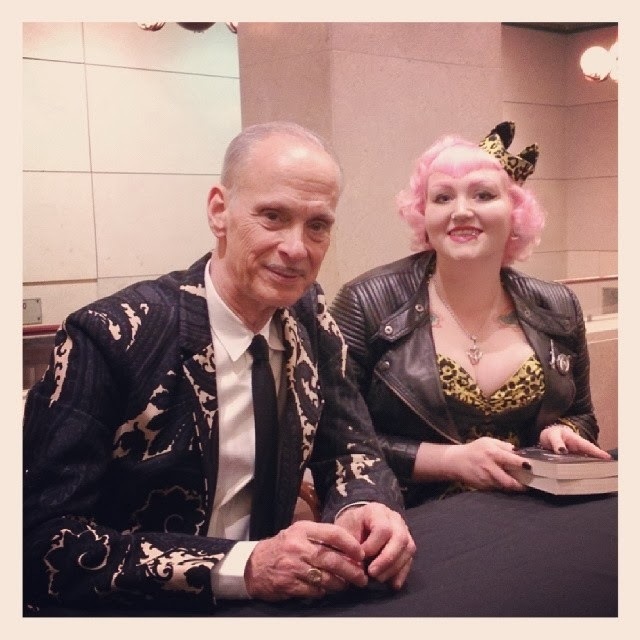 I wore it with my cropped fake leather jacket and some 1950s deadstock vintage black velour killer stiletto heels, and off I trotted with le boyfriend in tow to see John Waters! The performance was part of Liverpool's 10th Annual Homotopia event - a celebration of all things LGBTQ which even from the limited bits of it I experienced, seems a hell of a lot more inclusive and community-focussed than the commercialised 'pride' events of certain other cities *ahem*. The Liverpool Echo gave the performance a great writeup, and I had such a good time! His Highness was as witty and acerbic as you'd expect him to be in person, keeping everyone enthralled and amused (and feeling a little bit guilty for laughing at some of his more ribald anecdotes), every bit the expert raconteur. Then we got to meet him! Squeals of delight! The queue for book signing and photographs was rather long, luckily there were only about 25 people in front of us. Mr. 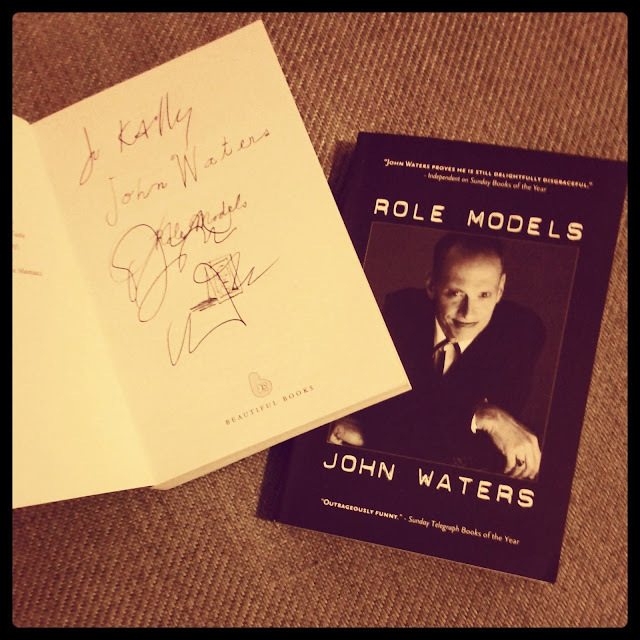 Waters was charming and funny, sent get well wishes to a friend who'd been unable to attend the show due to an operation, signed a book for him, and one for myself of course! He sent me on my way with a fantastically bitchy joke I won't repeat here, and a sly wink! PS. I read the whole book the next night, and will certainly be buying his new book when it's out next year!